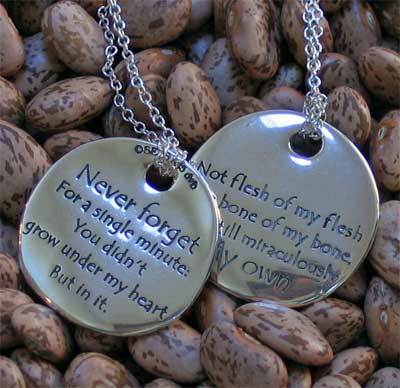 ‘Not flesh of my flesh, nor bone of my bone, But still miraculously My own. Never forget For a single minute: You didn’t grow under my heart, but in it.’ Fleur Conkling was an author of songs, stories, poetry, magazine articles and children’s books . . .. 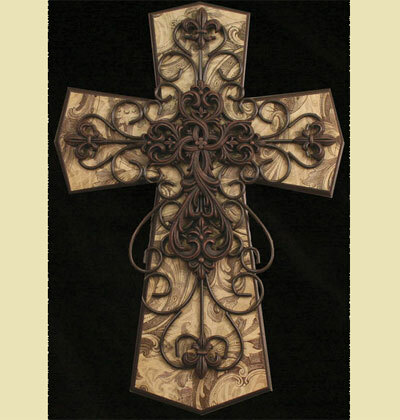 Stunning This 24″” tall wall cross has been made with a wooden printed base, wire and and resin cross ornament. 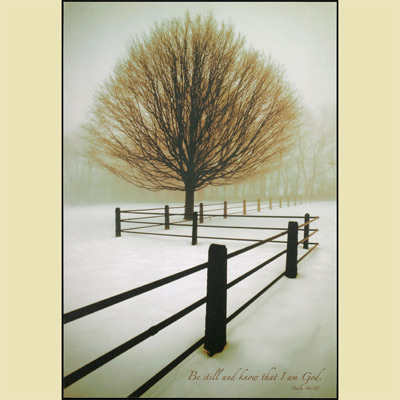 This is certain to make a statement on most any wall..
From a David Lorenz Winston photo… One of our favorite snow photos ever… ‘Be still and know that I am God. Psalm 46:10’ This piece of art is from our frameless textured collection. The print has been mounted onto solid and very durable 3/4″” MDF . . .. The traditional lettering and aged look of the Americana Plaques will, we’re certain, gain attention. 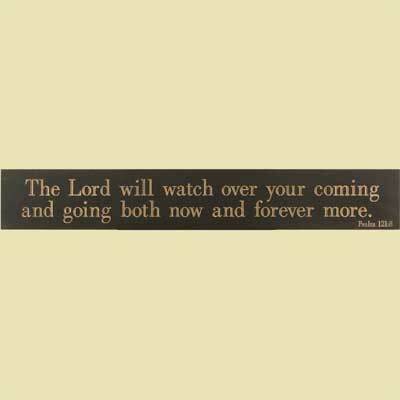 The Lord wll watch over your coming and going both now and forever more. 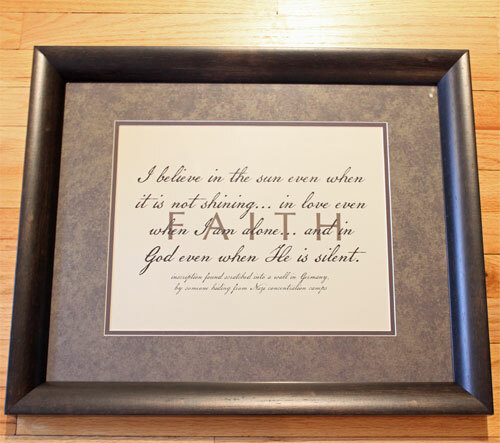 and nbsp; Psalm 121:8 Black Measures 29.5″” x 4.5″”..
Keep scripture front and center in your home. Share these inspirational messages with all who enter your home or office. These plaques look great above a door or window. 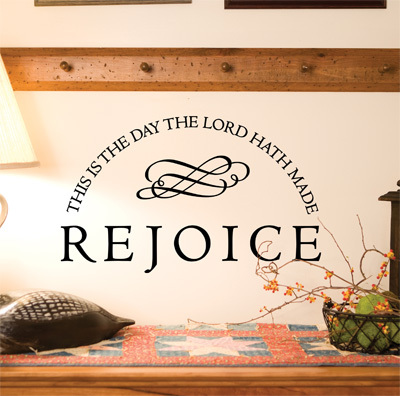 “”Cast your cares upon the Lord”” Psalm 55:22 Measures 20.75″” wide x 3.75″” . . ..
Vinyl wall decor is a very hot trend in the home decor market today We offer some of the most cherished scripture verses that you can place on a wall, or a window, over a beautiful piece of art, or on just about any smooth surface. Give it a try… . . .. This piece is a combination of fine art and a meaningful message and nbsp; It has been framed with double matting and glass. The word ‘FAITH’ takes center stage behind the following words… I believe in the sun even when it is not shining; In love even . . .. 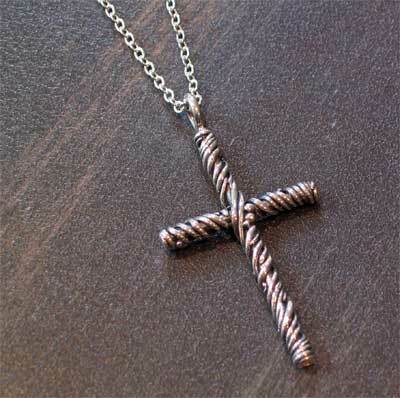 This very unique handcast cross is made from .925 silver. The cross is called a Vine Cross because of the delicate way the silver threading has been wrapped around the cross… much like that of a vine. 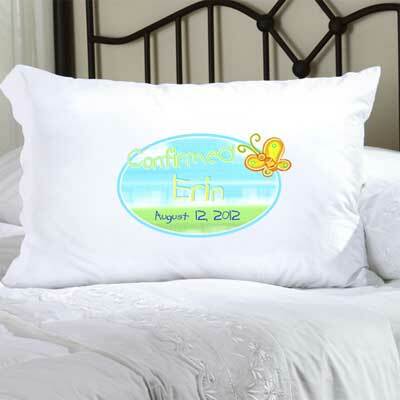 The Vine Cross measures 2 1/2″” in length and 1 1 . . ..
They’ll sleep peacefully when they lay their head on our Personalized Confirmation pillow case… a great way to mark this very special occasion. and nbsp; Made of a luxurious poly sateen, the pillow case measures 22″” x 30″” and fits a standard or queen . . ..
Make that very special dinner party all that more special by sharing your love for The Word with your dinner napkins. 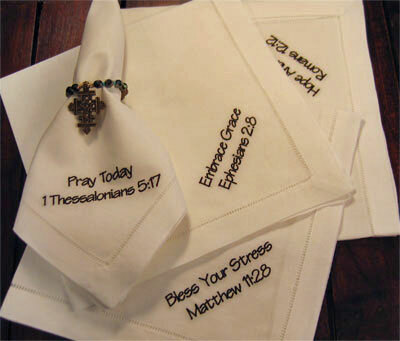 This set includes ‘Embrace Grace’, ‘Pray Today’, ‘Hope and Cope’and ‘Bless Your Stress’. EMBRACE GRACE – Ephesians 2:8 ‘For it is . . . Color of Embroidery: Black; Beige; Crimson; Sage; Navy..